Every Amari hotel has its own charm: a beautiful ocean view, huge pools, exclusive clubs and lounges for both children and adults. But among all these jewels are two hidden gems: Amari Nova Suites Pattaya and Amari Residences Bangkok. Unlike most of the hotels in our Amari family, these two properties closely resemble serviced residences or aparthotels – a popular type of accommodation that offers the benefits of apartments with the convenience of hotels. When planning your next getaway, here are 4 questions for you to consider when it’s time for you to decide on which of our Amari properties to book, and whether you should stay in a hotel or serviced apartment. How long are you planning to stay with us? 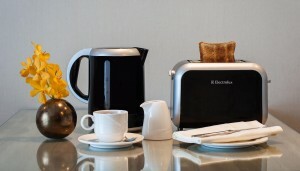 Whether it’s for one night or two weeks, serviced residences were made for recreating the feeling of home and comfort. Hotels are wonderful in so many ways, but let’s be honest: the extra leg-room and necessary amenities are more long-stay friendly. 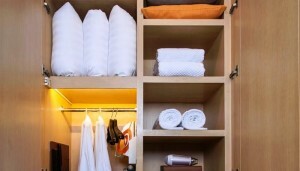 Have you seen the in-room amenities? We’re serious: we would love to live there. All of these rooms include a fully-equipped kitchenette, all of your bathroom necessities, and a DVD player with a huge flat screen television. 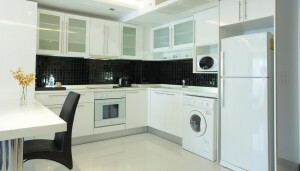 Plus, some rooms even have washers and dryers! And we haven’t even gotten to the hotel facilities yet: our in-house restaurant, outdoor pool, fitness centre, business centre, and housekeeping services are just the some of the great things about staying at our serviced suites. We love seeing the family together. your party is big enough to require multiple rooms, it can get rather costly and, overall, inconvenient. 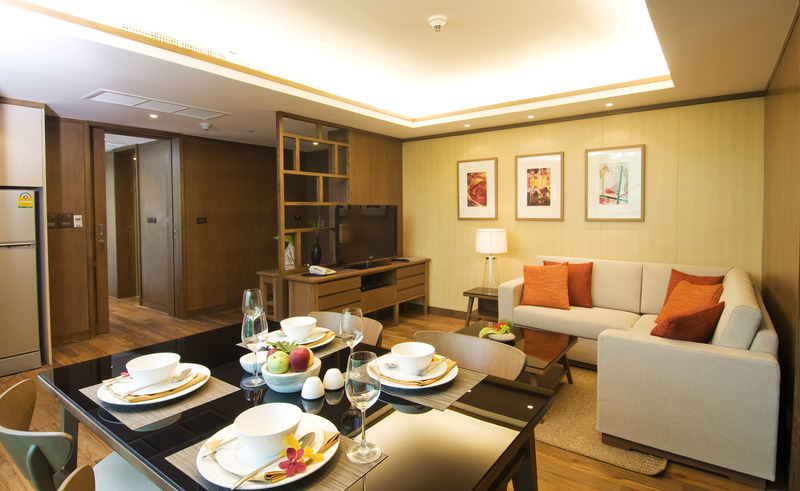 Amari offers not only studio rooms, but up two and three-bedroom suites at our serviced apartments. With a shared suite, you’ll never miss out on making memories or spending time together. It’s perfect for families and groups of friends – we guarantee it! “Roomy” doesn’t even begin to describe it. While it’s great to spend quality time together with your loved ones, every vacation requires a little solitary downtime. Whether you want to take a power nap, read a good book, or listen to music in peace, there’s a place for you: with private bedrooms in our spacious suites, you can give yourself a little break at any time! So there you have it: some of the best advantages of booking with our serviced suites. For now Amari Nova Suites Pattaya and Amari Residences Bangkok can offer you the comfort of home with the benefits of a hotel.